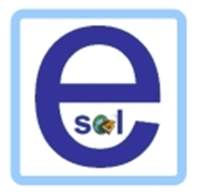 We will help you to find an English for Speakers of Other Languages (ESOL) class in Glasgow. Come to one of the testing and advice sessions listed below. Someone will give you an English level test and help you to find classes near where you live. They will help you to find community and college English language classes.
.**Please call to make an appointment. Referral Organisations are requested to make appointments on behalf of clients. Thank you. Please call 0141 276 1530 to make an appointment. Please call 0141 276 0768 to make an appointment. **Please call to make an appointment. ** Please call 0141 553 0808 to make an appointment. * Please call 0141 276 1540 to make an appointment.